Well known for his work with Marilyn Manson, Rob Zombie and David Lee Roth, John 5’s solo material remains criminally under-rated. With a whopping eight solo records under his belt, John is hitting the road in November to spread his gospel. 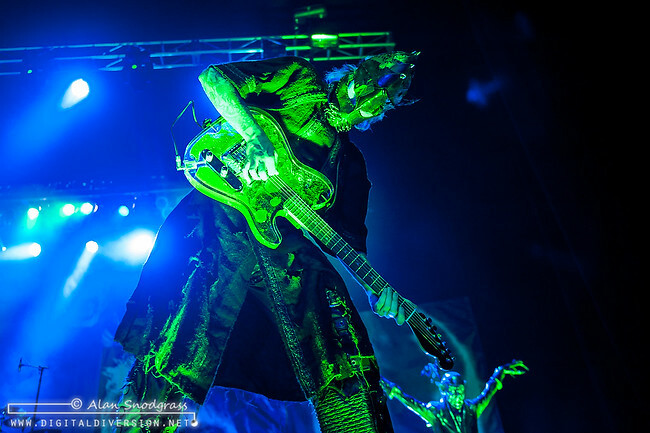 Ahead of a pair of Halloween weekend shows with Rob Zombie, John was kind enough to answer a few questions for us about his solo tour and more (interview has been edited for length and clarity). 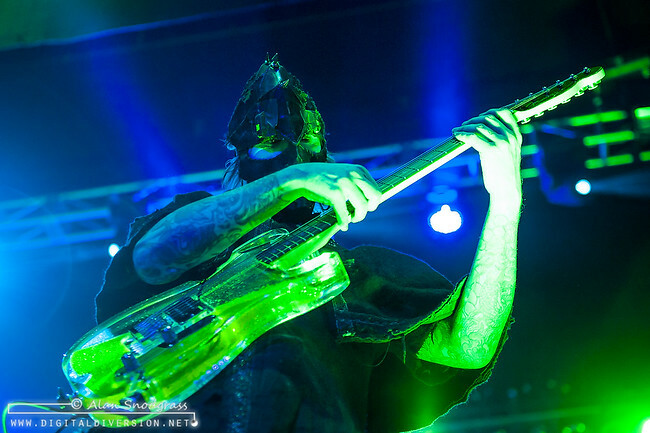 You have the Rob Zombie show on Sunday and your solo tour is kicking off early next week. Do you have a hard time switching gears between bands like that? It’s pretty tough because there is so much going on, especially when I have to plan. This tour is on me, so I have to do so much stuff. So it’s pretty tough because I am doing Vegas, Phoenix [with Rob Zombie], then I come home for one day and then I start my tour. So it’s pretty trying, that’s for sure, but it’s a lot of fun. It is so much fun with what I think that I’m going to be doing … it’s a blast. I wouldn’t change it for the world. One of the things that’s pretty cool about this upcoming tour is that you will be doing a number of dates with Doyle. How did that match up come about? I really love Doyle, I think he is so talented and I think he is like a real life superhero. If there ever was a real life superhero it would be him and he was my first choice for the tour. He was in the middle of a tour and he made it work, so we’re really excited to have him. For folks that are not familiar with your solo work, what can they expect from your set? It’s kind of like a instrumental Alice Cooper show and it’s really fun. I have all sorts of different styles of music going on like flamenco and bluegrass and of course metal. And monsters come out … it’s a really great show. It’s really a lot of fun so I think people are going to really enjoy it. I think one of the interesting things I find is when you do your solo dates you really stick with that iconic stage image that you also bring to Zombie so you’ve got the props and the guitars and the make-up. You know how long does it take you to get ready for a show like that? I start getting ready an hour before. It’s entertainment. People want to be entertained and I am going to give them as much entertainment as I can. It’s a lot of fun because there’s great music going on and great visuals as well. Are there any onstage collaborations planned with Doyle? No we haven’t even started yet, so there is nothing that we have planned. 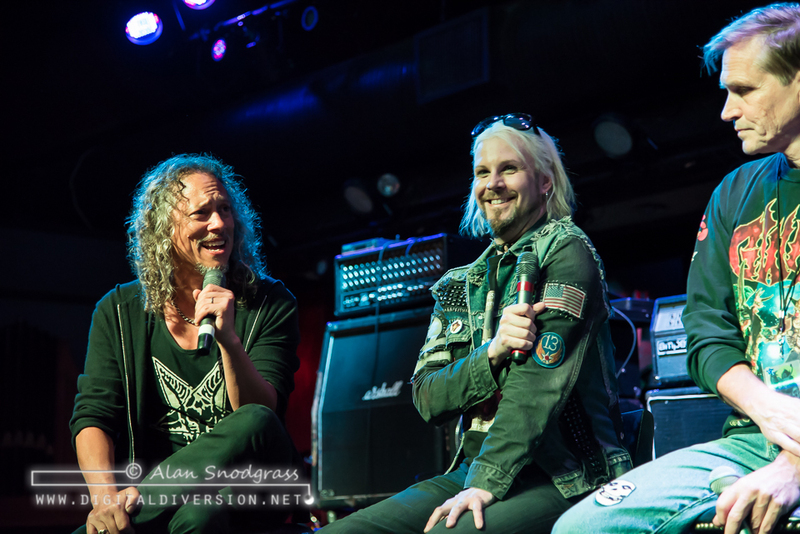 I think the last time you were in the Bay Area was at Kirk Von Hammett’s Fear FestEvil a few months ago. … which was a blast! One of the things that I found quite interesting that I didn’t know about you was that you are a collector of serial killer memorabilia. Is that true? Yeah I have some stuff. I have letters, I have things like that … so personal stuff, not just a bunch of a bunch of a bunch of a bunch of stuff but really one-of-a-kind things, if you will. Is there something that you would consider the holy grail of serial killer items? I have a letter from Richard Ramirez and I have a postcard from Charles Manson. Not written to me but written to this girl who would write to these guys and she gave it to me. It’s really interesting though. Kirk had talked about getting a magazine given to him by Richard Ramirez. I saw you perk up when he started talking about that. Did you happen to secure that magazine from Kirk? I can’t wait to see Kirk’s collection. I haven’t even seen it yet but I’m so excited to see it. Are you actually going to pay a visit while you’re up here? And there you have it, straight from the man’s mouth … this is guaranteed to be a fun show. The tour kicks off tonight in Ramona, CA.